Bangladesh has assumed the Chairmanship of the Platform on Disaster Displacement (PDD) last year from Germany. 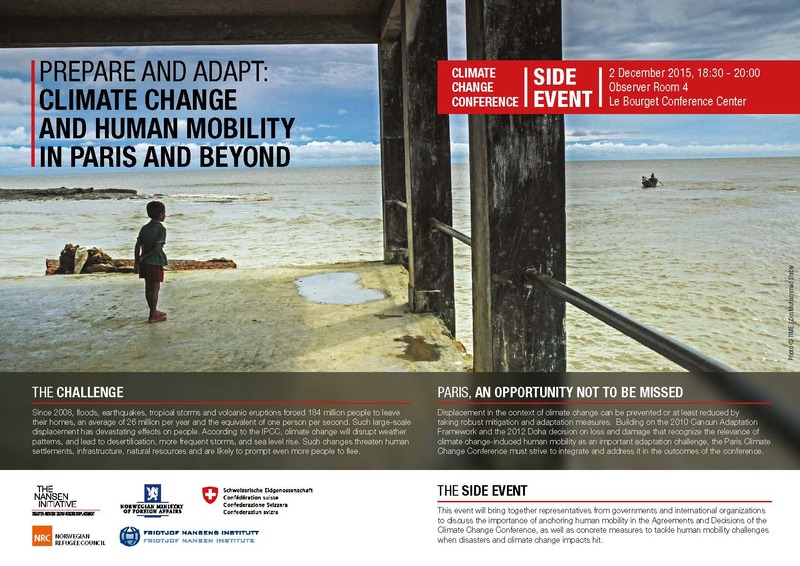 As part of Chair’s responsibility, the Government of Bangladesh, the Platform on Disaster Displacement and the International Organization for Migration are organizing the Annual Thematic Meeting in Dhaka on 24-25 February 2019, to bring attention to, and form a joint understanding on how to address the challenges of human mobility in the context of sudden- and slow-onset disaster events linked to natural hazards and the adverse effects of climate change. The Thematic Meeting will be inaugurated by the Hon’ble Foreign Minister of Bangladesh. 1. To analyze the effects of sudden-onset events like tropical cyclones, tidal bore, tsunami, earthquake, volcanic eruption, Iandslide etc. 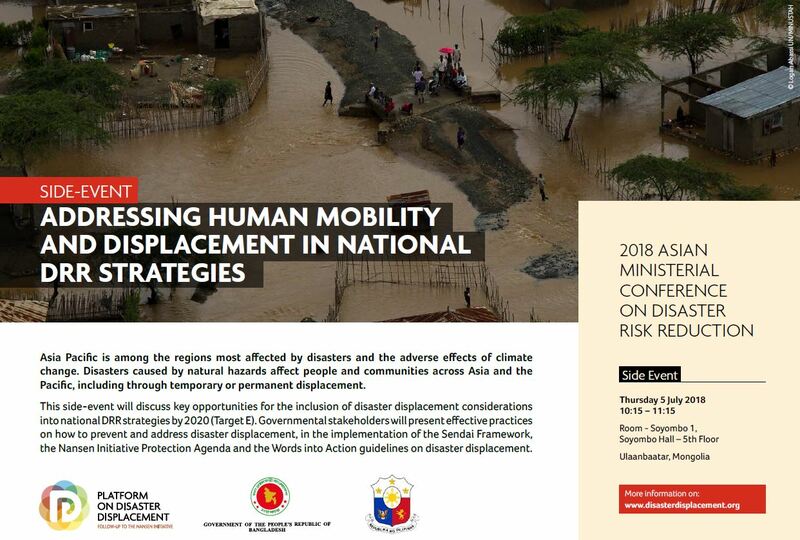 on human mobility and the ways and means of further enhancing preventive, adaptive and mitigation policies related to such mobility for better protection of displaced persons or persons at risk of displacement. 2. 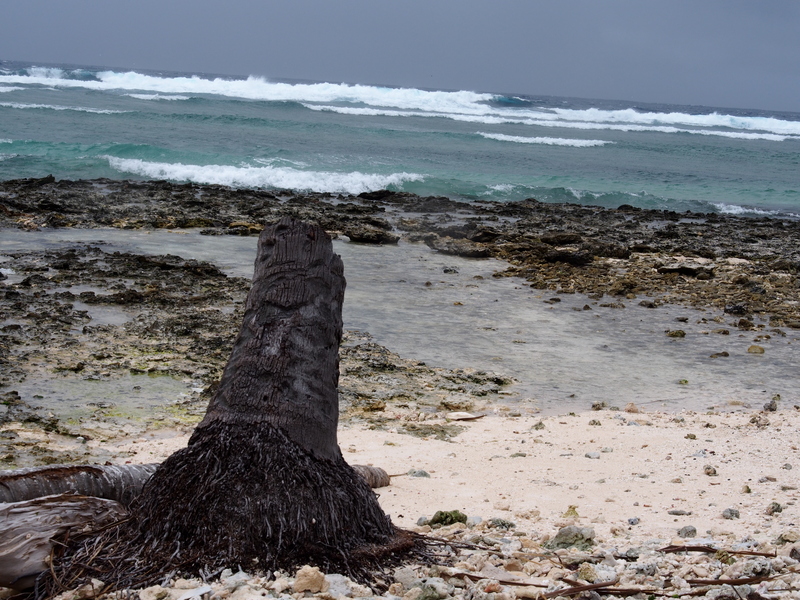 To analyze the effects of slow-onset events like sea level rise, river erosion, flood, drought etc. on human mobility and the ways and means of further enhancing living conditions of displaced persons by ensuring preventive, adaptive and mitigation policies related to such mobility. 3. To examine on how sudden and slow onset events are interrelated and not fully distinguishable from each other, and thus the needs of identical and different approaches for different types of natural events and subsequent human mobility, to ensure better protection for displaced population and persons at risk of displacement. 4. To produce some ‘take away’ from the discussion and exchange of best practices and ideas through a ‘Dhaka Declaration’. The background paper available on this page informs the “Annual Thematic Meeting of the Platform on Disaster Displacement (PDD) – Striving together for addressing displacement due to slow and sudden-onset disasters” taking place in Dhaka, Bangladesh from 24 to 25 February 2019. The Meeting will draw on experiences from South Asia, Southeast Asia and the Pacific to inform global policy processes as well as regional and national activities to address disaster displacement. For more information, please visit the website of the Ministry of Foreign Affairs of Bangladesh.